pure fear, manifested as facial hair. This is when the moustache grower decides to shave everything but the moustache growth area for the first time, leaving the embarrassingly stark shadow of a stubble-stache behind. I decided to do this on day three. The above video clearly illustrates the consequences of doing this too early. However, the longer you wait, the more irritating stubble you have to deal with, so it’s hard to find the perfect timing. Subtleties regarding the art of moustache growing aside, I expected that it was going to be a long month, replete with its own brand of challenges (I actually had the experience of a cashier breaking out into laughter when she looked at me, then trying and failing to stop). I had heard about other people getting weird looks and even nasty remarks about their moustaches before (you’ll be glad to know I didn’t get any nasty remarks, though of weird looks there were plenty). I had prepared myself for these things. However, it’s what I didn’t expect that I found to be most noteworthy. I didn’t expect to feel like part of a special community, a brotherhood of sorts. Walking to catch my bus, or walking around at work, I would see more and more people that were also part of this community as the month wore on. On many occasions, we would exchange smirks and knowing glances, these Mo-Bros and I, notwithstanding the fact that we were complete strangers otherwise. This is someone who knows, we would each be thinking. On a different note, I didn’t expect to become more self-conscious than I normally am. Although there was a sense of unison and community when crossing paths with a fellow moustache bearer, there was also an undeniable need to compare my own moustache to theirs. 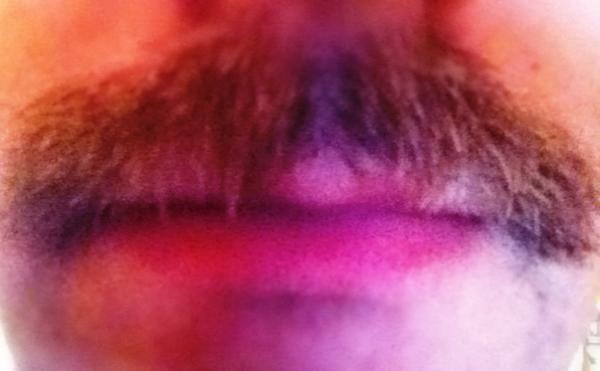 I frequently experienced moustache envy, and felt a little less of a man each time I witnessed someone with a stache so glorious, so thick, so long, so darkly coloured, that it put mine to shame. I’m also not proud to admit that I felt a bit better about myself when I saw someone whose moustache was less grown than mine (what can I say? Downward social comparison is something we all do, whether we admit to it or not). Finally, I didn’t expect the fundraising support I received to come from the places that it did. Sure, there were family, friends, co-workers, and other usual suspects who all helped out in a big way and that I’m hugely thankful for. In addition, I received donations from old friends that I had either lost touch with or have chronic difficulty keeping up with, reminding me that they admired what I was doing, and felt the same way about the cause. 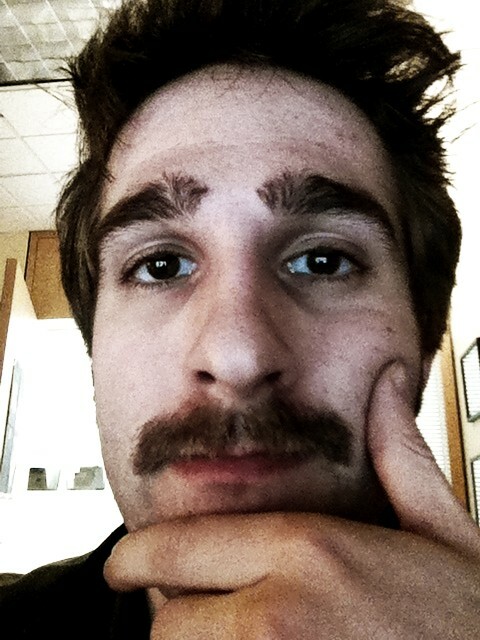 It wasn’t just fundraising support that made Movember worthwhile, though. The smiles on people’s faces; the aforementioned uncontrollable laughter of strangers; the sincere compliments I received from students, coworkers, friends, friends of friends, teammates, and all other walks of life all made me feel like what I was doing was right, even if (or perhaps because) it involved looking silly in the process. I did shave it off on November 30th. It’s not special if you have it all the time, right? A final note: guys – if you’ve been putting off taking care of something health-related (as we’ve all been guilty of at one point or another), do yourself a real favour and go get it taken care of. Talk to someone. When it comes to your health, ignorance is most definitely not bliss.